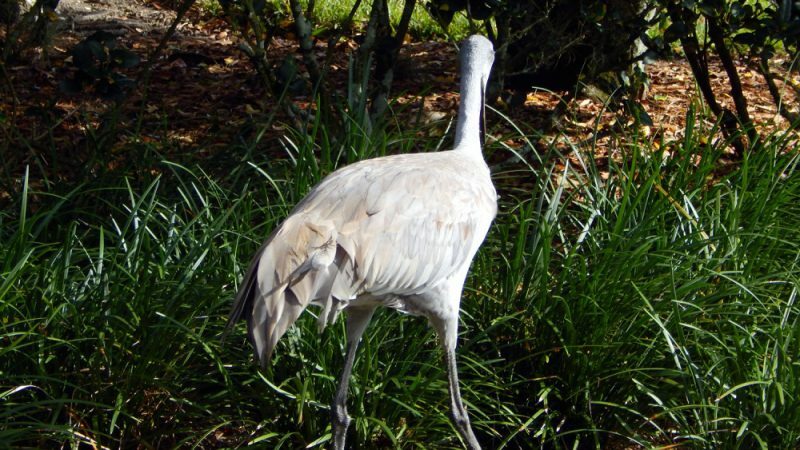 Sandhill Cranes are practically crippled when walking on roads since that can’t get any traction due to their leg and feet anatomy that favors softer grounds. 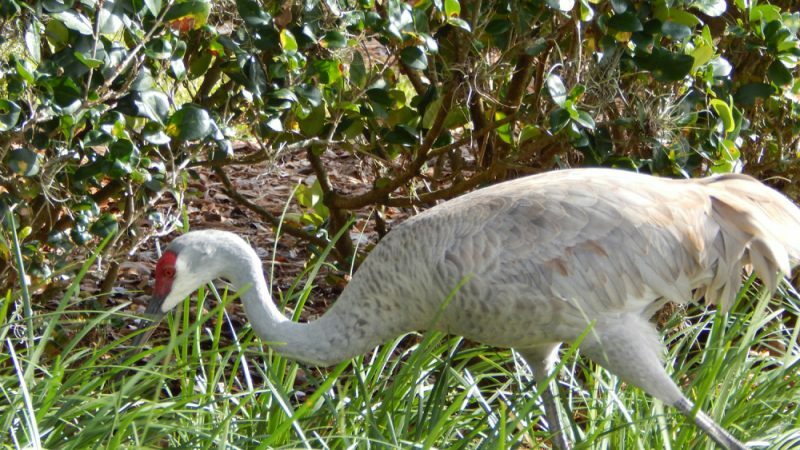 It is a beautiful site to see these four-foot tall birds in our neighborhood, but please remember to slow down when you come up to them while driving since they are virtually disabled when walking on concrete and asphalt roads. 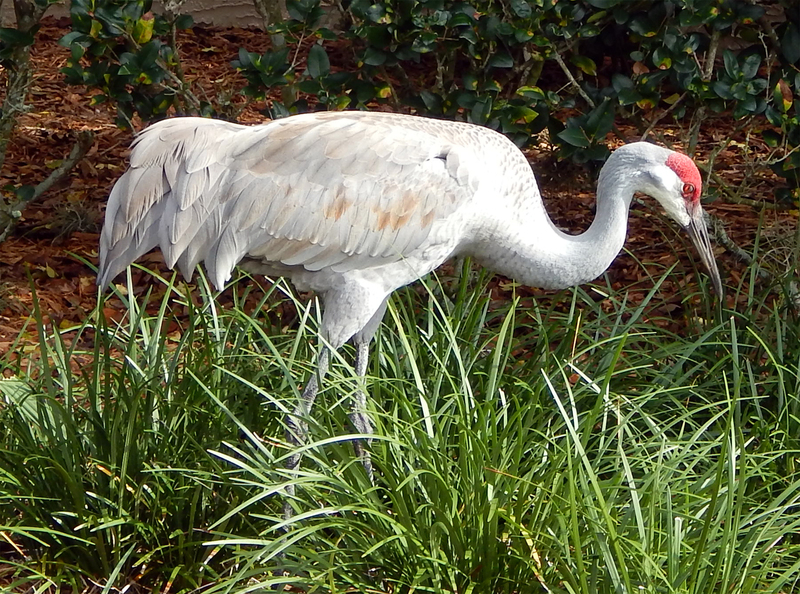 Sandhill Cranes are on Florida’s Threatened and Endangered Species list by the Florida Fish and Wildlife Conservation Commission. 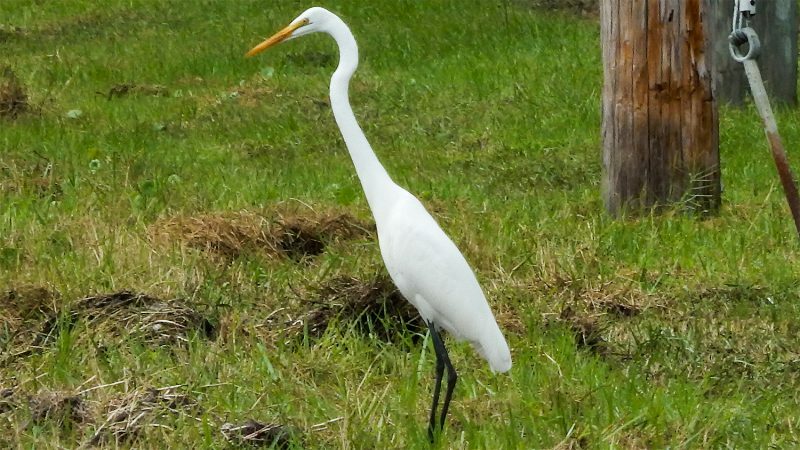 The Great Egret (Ardea alba) can stand 1 meter tall (3.3 ft) and weigh a bit over three pounds. 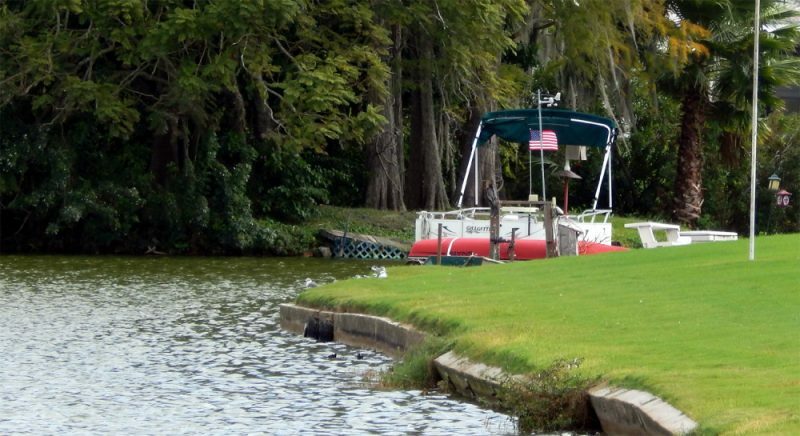 The Great Egret also is known as the Large Egret, Common Egret or the Great White Heron. This particular Egret is found in as far as Europe and is highly concentrated in the Sun Belt region of North America. 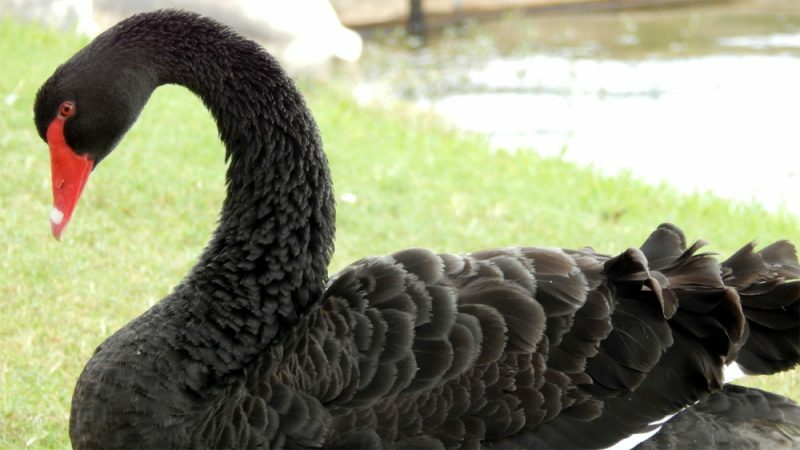 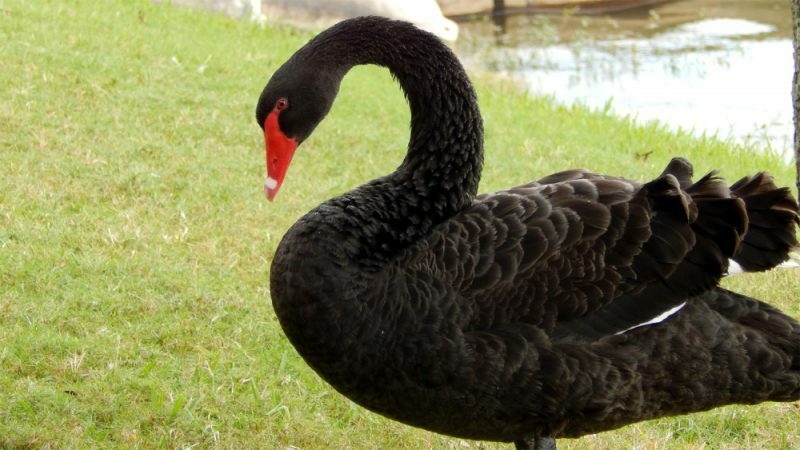 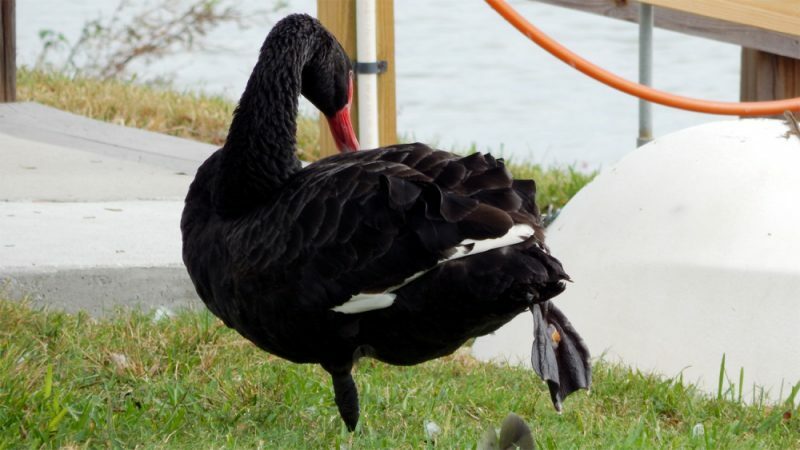 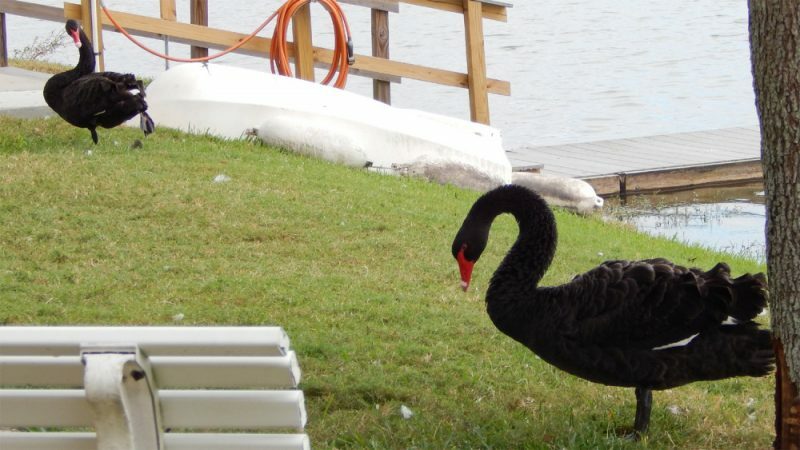 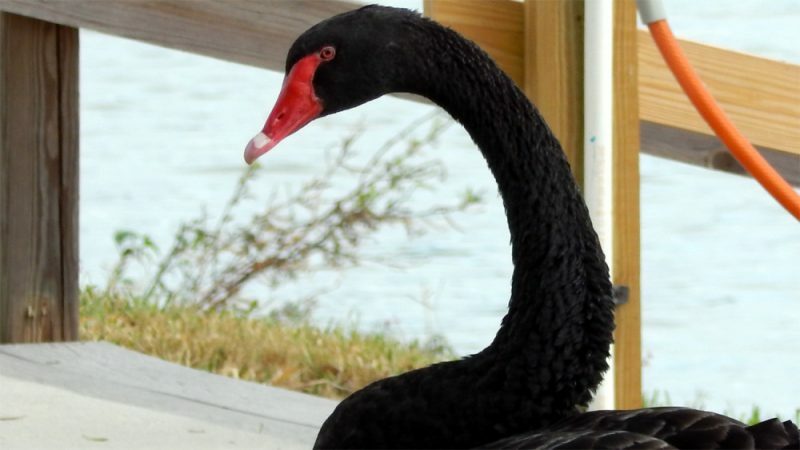 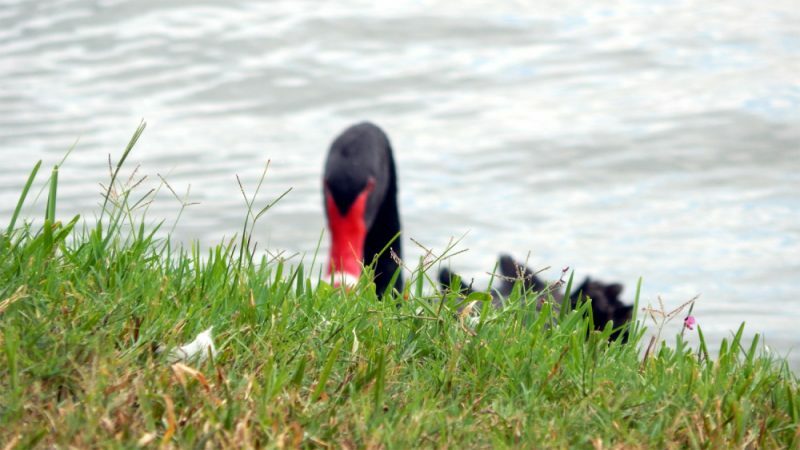 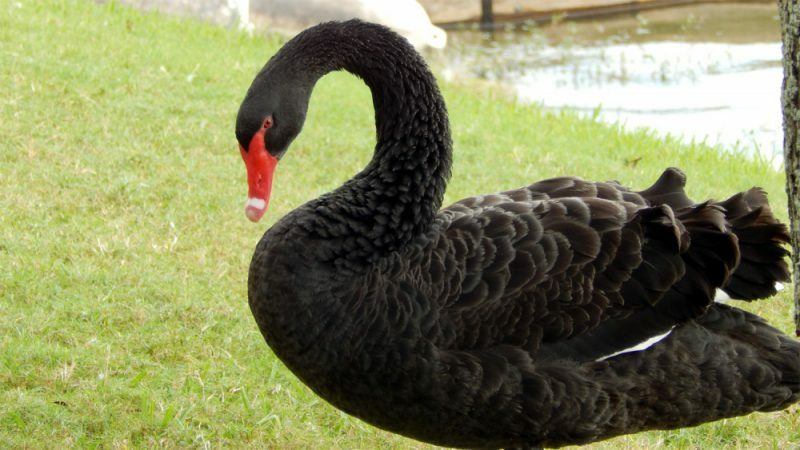 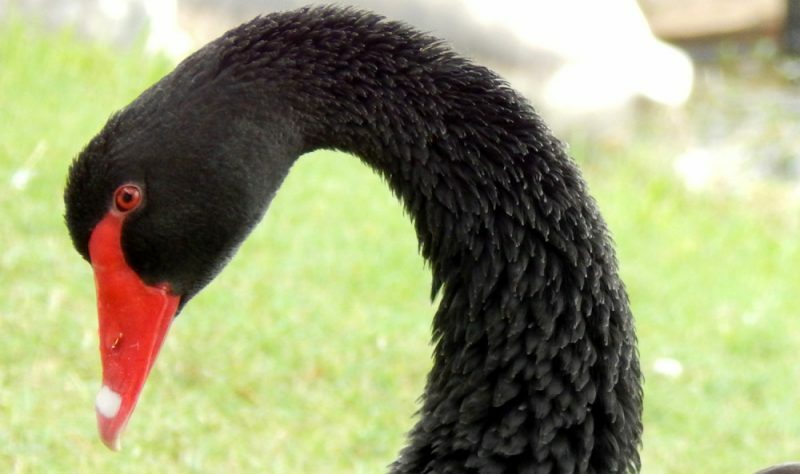 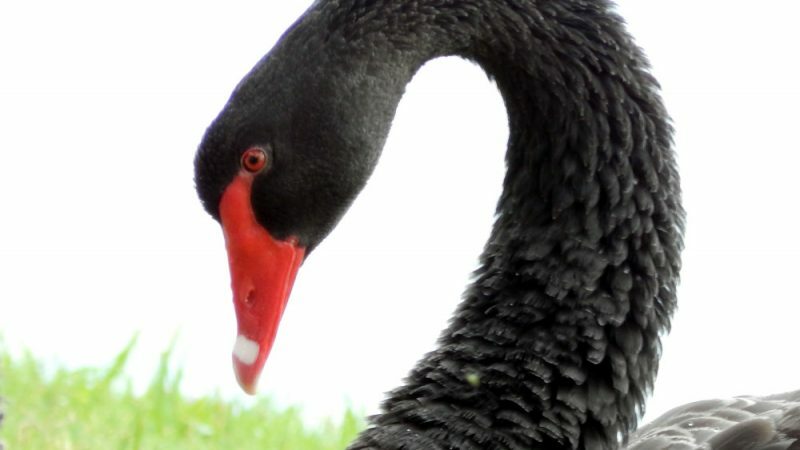 SUN CITY CENTER — Researcher have found that Black Swans pair for life with around a 6% divorce rate.